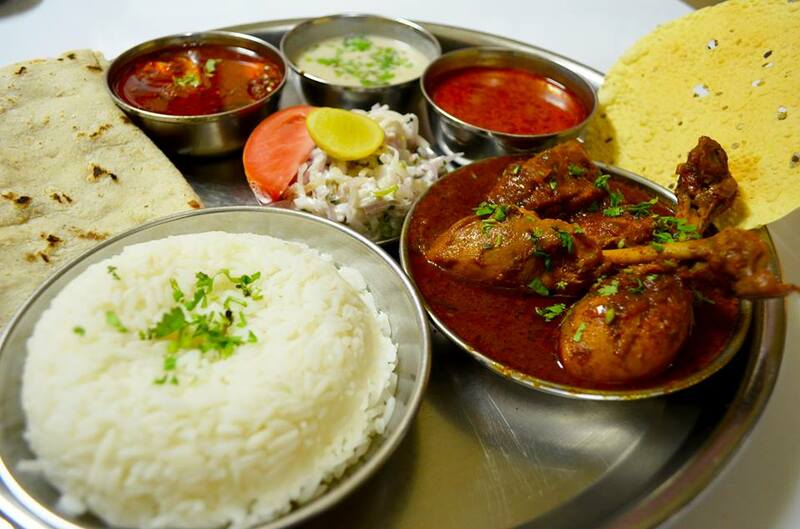 Thali is an Indian meal made up of a selection of various dishes. It simply means a round/square platter used to serve food. Dishes served in a Thali are usually served in small bowls, called katori. Typically thalis are a choice of vegetarian or meat-based thalis. This Set Thali includes one non-veg curry ( chicken/egg /lamb /fish), dal, yogurt/raita, pickle/chutney, pappad, rice and chapati.